Published on November 3, 2014 by Martyn. Be the first to comment! 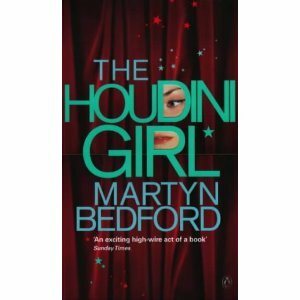 The short film adapted from my novel, The Houdini Girl, is being screened in York this weekend as part of the 2014 Aesthetica Short Film Festival. The 11-minute film, made by Tomori Films and written and directed by Kfir Yefet, stars Jack Whitehall as Red and Laura Donnelly as Rosa in a steamy bedroom scene from near the beginning of the novel. It was shot in London last year with a view to attracting funding to make a full-length feature film. Now in its fourth year, Aesthetica – a BAFTA-qualifying celebration of independent short film-making from around the world – is taking place from 6 – 9 November at 15 venues across York. The films span a diverse range of genres from comedy to music video, from drama to documentary and animation. The Houdini Girl is being shown with five other shorts in Drama Screening 9, which is running on Friday from 10.30am to 12.00, Saturday from 11.30 to 1.00 and Sunday from 12.00-1.30. The Friday and Sunday screenings are in the Pop-up Cinema, in the City Screen basement, 13-17 Coney Street, while the Saturday show is in the main City Screen auditorium. Click here to visit the ASFF 2014 site, where you can view the full programme and buy tickets.